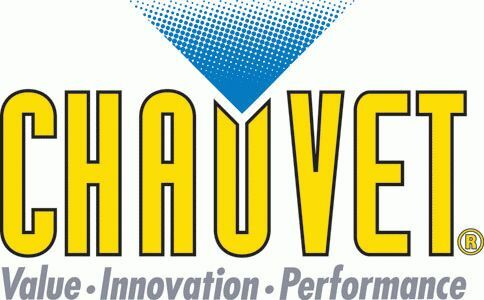 CHAUVET® DJ, a leading manufacturer of LED lighting, announces the sponsorship of major event components at The 2012 DJ Expo taking place August 13 – 16 at the Trump Taj Mahal in Atlantic City. For the first time in DJ Expo history, CHAUVET® DJ will have an enormous booth (#714) filled with the latest, must-have DJ gear projecting vibrant washes, crisp gobos and ultra-bright beams. The 2012 DJ Expo, presented by DJ Times, hosts over 25 educational seminars and features top audio, lighting, studio and specialty product manufacturers who offer the latest in cutting-edge technology. This year, CHAUVET® DJ takes the spotlight at one of the most exciting DJ trade shows in the United States. For the second year in a row, CHAUVET® DJ hosts one of the show’s most anticipated events—the Promo Only party. In previous years, 50 Cent, Lady Gaga, Lil’ John, Naughty by Nature, Cyndi Lauper, Pete Wentz and Jason Derulo have taken to the stage for surprise performances, and attendees can expect a star-studded lineup again this year. Additionally, CHAUVET® DJ is sponsoring the show’s main stage and two seminars. The DJ Times Square Stage, where talented artists in the industry perform, features an enormous stage illuminated with top of the line CHAUVET® DJ fixtures. As a seminar sponsor, CHAUVET® DJ will deliver a class on ShowXpress™ and another instructing DJs how to increase their bottom line. ShowXpress™ is a software program that turns almost any computer or smartphone into a lighting console. Allan Reiss, CHAUVET® DJ product manager, covers basic DMX and how to create, store, control and play back a light show, programming, MIDI triggering, on-the-fly manipulations, layering and creating complex scenes and effects. The ShowXpress™ seminar features the completely wireless and battery-operated Freedom™ http://www.chauvetlighting.com/freedom.html series, the powerful Intimidator™ Spot LED 150 moving heads and the Nimbus™ http://www.chauvetlighting.com/nimbus.html professional dry-ice machine. The second class shows DJs how to increase their yearly gross sales by $10,000.